Welcome home to 9 Marjorie Street in Methuen. 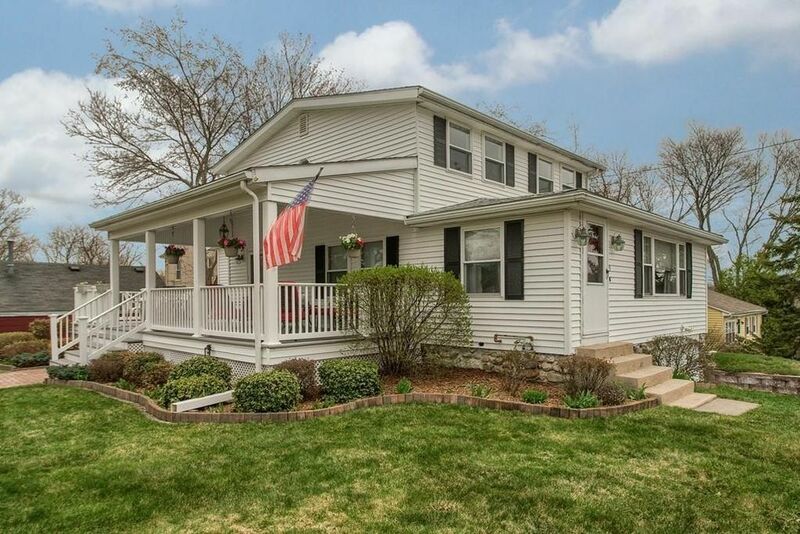 Pride of ownership radiates from this extensively updated 3-Bedroom, 2 Full Bath, 1,616 +/- SqFt home set upon 9,600 SqFt of land with a versatile floor plan, seasonal Merrimack River views, and in the Marsh Grammar School district. The main level features a large composite, covered porch & deck, remodeled Kitchen with custom maple cabinets, ample granite counter space & vaulted ceiling, Oak Floors, Bedroom with custom Walk-In Closet, modern Full Bath, Living & Family Rooms. 2nd floor offers two renovated Bedrooms, a Home Office area and a remodeled Full Bath. Ample off street parking [6 cars] on a concrete driveway, plus 1-Car Under Garage & 1-Car Detached Garage or Shed with extra storage and electric service. Replacement windows. 200 amp electric. 2014 roof. Public water & sewer and Natural Gas. Well-maintained steam boiler & recent water heater. Convenient to retail on Route 110, Methuen Riverside Boat Ramp & Interstate 93.